Customer Relationship Empowerment – what is it and why is it important? The term Customer Relationship Management (CRM) has been around for a long, long time but is it still relevant? Do customers really want to be ‘managed’ in this day and age? I’m of the opinion that today’s customer is too savvy to be managed and wants to create their own, personalised experiences. With this in mind, shouldn’t we rethink our strategies and start to collaborate more with our customers – giving them the opportunity to define what they want, need and expect. This got me thinking and in doing so I came up with phrase Customer Relationship Empowerment (CRE for short); an opportunity to work alongside customers, giving them the opportunity to come up with and shape ideas, create and distribute content, drive positive word of mouth and help solve problems on behalf of other customers – the possibilities are endless. ”Customer empowerment is an opportunity for both consumers and providers to realise greater value from a more intimate and trusted relationship. For businesses, insights into changing customer behaviors can help drive efficiency and speed to market. Co-creation creates customer evangelists, in essence, transforming what were once buyers into stakeholders. These are all examples of when customers give up their precious time and help your company, the problem is we aren’t consistent with this approach, treating them as short-term wins and not strategic relationships we can foster over time. One of my favourite examples is from GiffGaff, the mobile network that is ‘run by its customers’. 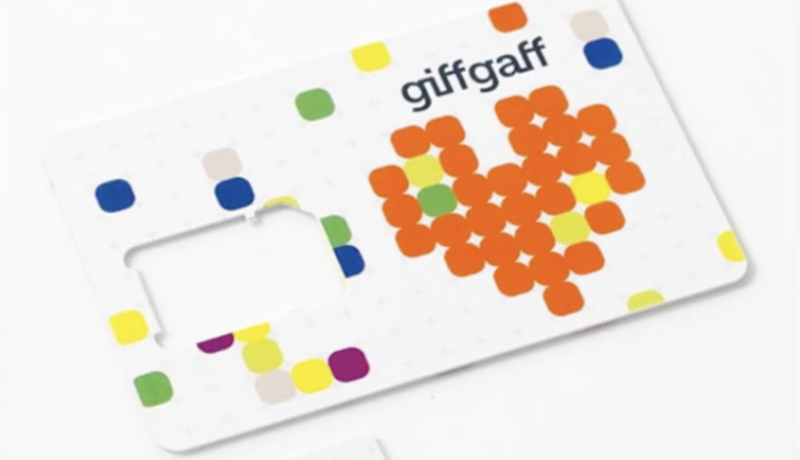 GiffGaff has constantly pushed the boundaries of how to work alongside customers and used this strategy to effectively launch the brand in 2009. With limited budgets they turned to their customers for help, asking them to create their own YouTube videos using props they provided. 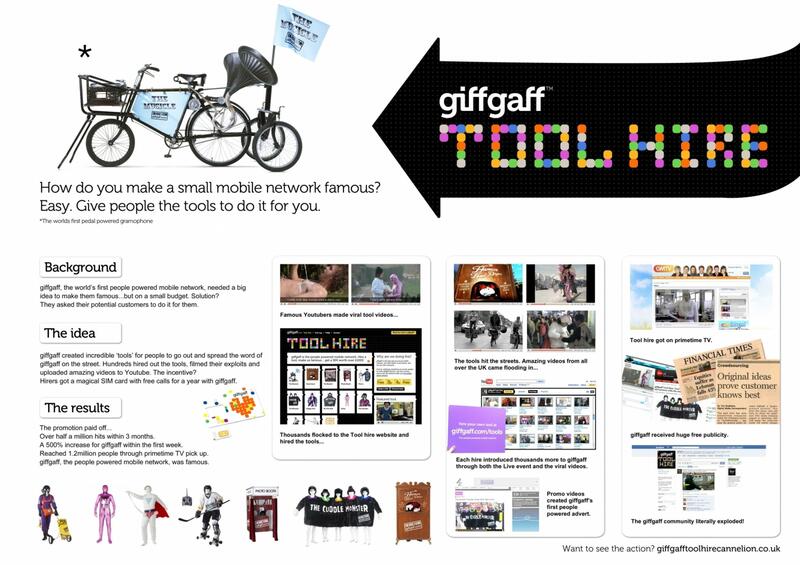 The campaign ‘GiffGaff Tool Hire’ (2) helped them reach hundreds of thousands of prospects, improve brand awareness and increase their revenues – it even managed to get them free PR and a spot on prime time TV! ”The community is buzzing with life. As a member you can give and receive great help and support, help grow and shape the giffgaff way of doing mobile on Labs, creatively get involved in making entertaining content for all to enjoy and have lots of fun in the process - there’s never a dull moment. This approach has seen them constantly top the mobile network customer service tables and helped maximise their profits without the costs associated with traditional marketing and advertising. So what’s in it for their customers? Well, every time they help recruit a new customer, share an idea, help another customer with a problem or develop some marketing content they get rewarded. These rewards come in lots of different forms, from a simple thank you to money in their account. In short, empowered customers will become your biggest advocates, described by Deloitte3 as your ‘shareholders’. At Hyve we believe so passionately that this is the future that we set out on a mission to make it easier than ever before to create, facilitate and track your advocates – we call it Customer Relationship Empowerment and we believe it’s your unfair competitive advantage. Our solutions are designed to help you work with your customers when creating new and innovative products and services. We help you crowdsource ideas, capture opinions, test assumptions and understand what customers value most. Our team of experts will also be at hand to offer their knowledge, ensuring you engage with your customers in the most effective way.